There isn’t an HVAC company out there who isn’t going to tout their best qualities, but that doesn’t always mean they’ll deliver on those qualities. 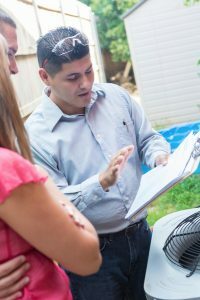 When you are seeking a company to install a heating system, repair a broken down air conditioner, or even give you advice on how to help your indoor air quality, you want a San Antonio, TX HVAC contractor who you can trust. But how do you find such a professional? 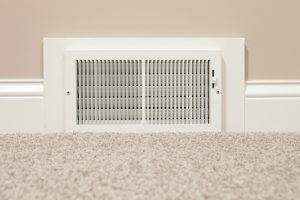 Is Your AC Working as Efficiently as Possible? While other parts of the country begin gearing up for winter, by scheduling heating maintenance—an appointment you should get on your calendar soon too—among other tasks, most of us are still using our air conditioners on a daily basis. That being said, you’re likely sick of the warm weather and are probably tempted to set your thermostat as low as it will go to tolerate the heat. Unfortunately, your air conditioner uses a lot of energy. In fact, it’s estimated that your HVAC systems account for half of all of your home’s energy use. Turning your thermostat down as low as it will go forces your AC to use even more undue energy, wearing down the system much faster. The good news is that there are methods in which you can keep yourself and your household occupants cool without using so much energy, and without sacrificing your comfort. Posted in Air Conditioning | Comments Off on Is Your AC Working as Efficiently as Possible? How Can a Bad Thermostat Impact Your HVAC System? It’s true, we don’t have to deal with the severely cold temperatures that other parts of the country do during winter. As such, you probably aren’t too worried about your heating system just yet. However, with how much we use our air conditioners around here, don’t you want to do everything you can to save energy—and subsequently, money? 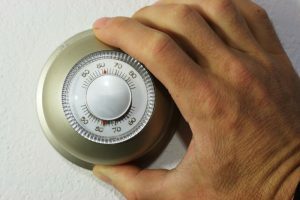 How you use your thermostat plays a big role in this, not only during cooling season but in the winter as well. Fortunately, we are here for you when you with superior professional thermostat services in San Antonio, TX. But we would like to help you understand the HVAC-thermostat relationship so that you know when you need these services. Posted in Thermostats | Comments Off on How Can a Bad Thermostat Impact Your HVAC System?